Ok I know Final Fantasy XIII is only one month away. However I was recently playing Final Fantasy VII Crisis Core and Dirge Of Cerberus. After watching the secret ending of Dirge Of Cereberus, it is clear that Square Enix has indicated another possible story in Final Fantasy VII universe. I hope this happens because the secret ending was a cliffhanger. If you haven't seen the secret ending click the video below warning it contains spoilers. Dirge Of Cerberus Secret Ending. If you haven't played Final Fantasy VII Crisis Core for the PSP then you don't know who that guy is. Well his name is Genesis and he is one of the baddies in Final Fantasy VII Crisis Core. Here is what I propose if we get another Final Fantasy VII game. Main Villian should be Genesis! - I love Sephiroth as much as any Final Fantasy VII fan. Let's be honest with ourselves his story has already been told. Frankly his war with Cloud is getting stale. He has lost twice already (that's if you are not counting Kingdom Hearts and Dissida) I'm sick of Jenova and her son. Let's bring in someone who has not been satisified with his goal. Genesis still has work to do and his clones should still be on the loose. I think Genesis would add a great depth to the next story, because where Genesis is we will see the return of characters such as Zack, Aerith and Angeal. No more depressed Cloud please. 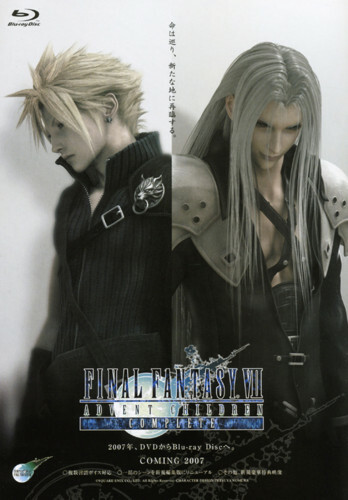 - After Advent Children it is shown that Cloud is comfortable in his own skin. Let Cloud finally take more of a mature role. Let's see some more character into Cloud, let him crack a joke for once. Show more aspect of the person that he is grown to be. He is human and has healed let's see more of a human Cloud. Also would it also kill you to have him officially dating Tifa? The girl has been waiting forever. I know they live together with Marlene and Denzel but c'mon. Bring back Nobuo Uematsu - If the next game is going to be done right. Then we need to have the father of Final Fantasy music leading the helm for this project. As good as the other composers are Nobuo brings out the emotion the best. It's time to return to our roots if this would be the Final of Final Fantasy VII. Aerith Is Dead Keep Her That Way - I love Aerith and frankly there is no Final Fantasy VII without her. But keep her dead and in the Lifestream. She can give guidance and aid the team. But do not bring her back to life, it would just make things complicated for poor Tifa lol. Gameplay - Gameplay I would love to see Crisis Core gameplay for the next game. I love the feel of the Action RPG. Turn based is classic gameplay but in this day and age, we need to move around. Summons - Bring back Knights Of The Round Table! End of story. Shrina Needs To Return To Evil - Rufus is still alive which means Shrina should have a comeback. Plus where there is Rufus there is the Turks. Time to bring back to evil empire that we love from Final Fantasy VII. Have Shrina create new Weapon projects to try to stop Genesis. Finally Give Everyone Else Some Focus - Cloud story is done. Vincent story is done. Tifa done. Aerith done. What about a little more focus on Cid and Red XIII (I named him Red Fox lol)? Let's see the support characters get a little more focus.